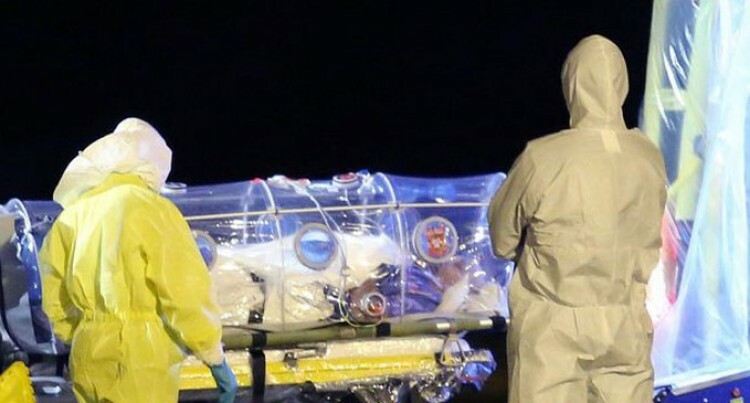 A Spanish nurse who treated an Ebola victim at a Madrid hospital has contracted the virus in what is thought to be the first case of transmission outside Africa. The nurse tested positive for Ebola in two separate tests, according Spain’s health minister said. She was part of the team that treated Spanish priest Manuel Garcia Viejo who died of Ebola in the hospital Carlos III de Madrid on September 25. He had caught the virus in Sierra Leone, and was transferred to Spain three days before his death. A Spanish health official said the nurse went on holiday the day after Mr Viego died and had started to feel sick on September 30, Reuters reports. The health worker is in a stable condition, the official said. Spanish newspaper El Pais said the health worker was admitted to hospital on Monday morning with a high fever. Doctors isolated the emergency treatment room, the report said. Ebola spreads through contact with the bodily fluids of someone who has the virus and the only way to stop an outbreak is to isolate those who are infected. Some 3400 people have died in the outbreak – mostly in West Africa. Guinea, Sierra Leone and Liberia have been hardest hit. There have been nearly 7500 confirmed infections worldwide, with officials saying the figure is likely to be much higher in reality.